have the ability to provide the right amount of pressure to keep your airway open. An APAP is designed to deliver your ideal pressure, on a breath by breath basis, increasing pressure when it's too low and decreasing pressure when it's too high. 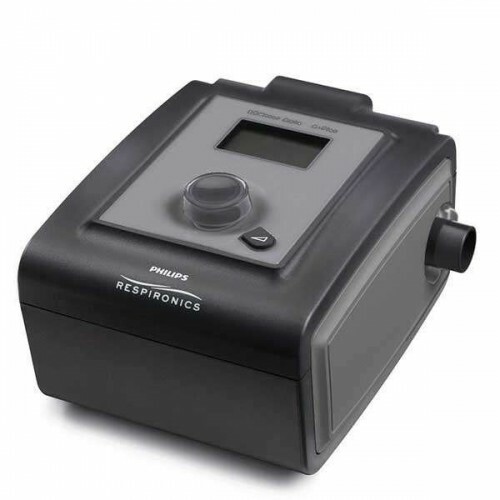 An APAP can be run in CPAP mode, where the machine blows one constant pressure, or in Auto mode, where it adjusts the pressure to meet your specific needs. These machines are typically software capable, or 'smart' machines, which can help you and your doctor fine tune your Obstructive Sleep Apnea therapy and monitor for effectiveness. The CPAP machines we stock are all quiet in operation. The sound levels range from 26 db to 30 db. This is less than the ambient sound level of an average bedroom at night. Therefore, the CPAPs are inaudible in the average bedroom.